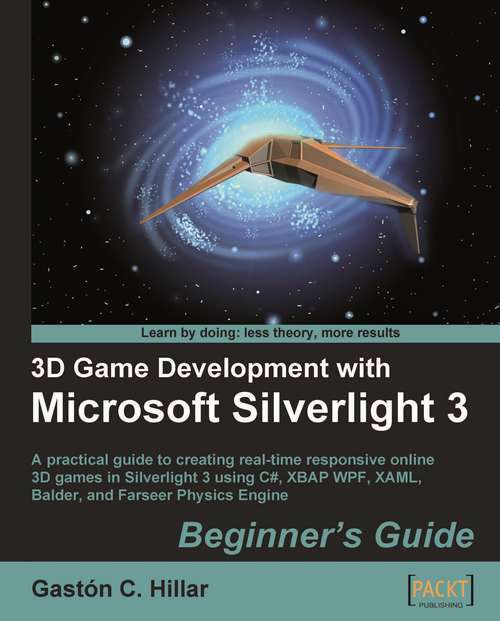 This book takes a step-by-step approach to building a complete interactive 3D game using Silverlight and enhancing it through its related technologies. The book focuses on practical examples and has a friendly approach, with the opportunity to learn by experiment and play. It uses illustrations, screenshots, and interactive experiences to understand the most complex topics related to the 3D scenes. This book is designed primarily for C# developers with basic knowledge of the Visual Studio IDE who want to develop online 3D games using Silverlight or create interactive 3D scenes for a web site with animated models. No prior experience in 3D programming, 3D animation, or Silverlight is required. The book is also aimed at 3D developers who want to improve their online content, offering innovative 3D models in action.